UKSSSC has released the admit card for the various post, The UKSSSC Admit Card 2018 for various posts released in the online mode. candidates can download the UKSSSC Admit Card in the Online Mode. there is no other mode to get the UKSSSC Admit Card. The Exam for the Various post is on the 28th October 2018. Candidates can download the Admit Card from the Official Website of UKSSSC. Check below the Important Information about UKSSC Admit Card 2018. UKSSSC Admit Card for various posts has been released now, Click Here to Download Admit Card. UKSSSC Exam for the various posts will be on 28th October 2018. Post Name – (5.1-5.4) Personal Assistant / Stenographer, (31.1-31.2, 70.1-70.2) Personal Assistant, (42.1) Storekeeper, (56.1) Stenographer Grade-3, (80.2) Personal Assistant / Stenographer / Stenographer-2, (93.1-93.2, 101.1) Junior Assistant / Computer Operator / Salesman, (94.1-94.2) Stenographer -3 / Stenographer / Data Entry Operator, (109.1-109.21) Junior Assistant / Data Entry Operator / Registrar Clerk, ( 110.1-110.2) Collection Amin, (111.1-111.11) Personal Assistant / Stenographer & (112) Assistant Warehouse. 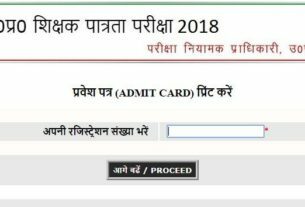 The UKSSSC Admit Card 2018 has been released on the Online Mode, candidates can download the UKSSSC Admit Card form the Official Website of UKSSSC (Link will provide above). Candidates can download the Admit Card by entering the required details. there is no other mode to get the UKSSSC Admit Card or authority will never send the Admit Card via post or in any other mode. Visit the Official Website of the UKSSSC . (Link provide above). Click on the Download Admit card link. A new tab will open in your computer screen. Enter required details such as Candidate’ Name, Father’s Name or Date of Birth or Registration Mobile Number and click on the Submit Button. A Grid window will appear on the Submit Button on the Same Page. 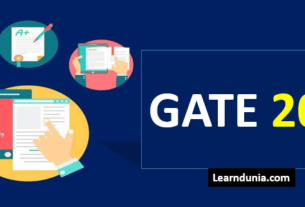 Click on the Admit Card View Link. Check and Download the Admit Card. Take a print out and save it for the future use. and some of the Examination day instruction.